Nashville’s psychedelic grunge pop act Fancytramp isn’t calling it quits, but they are rebranding themselves as Idle Bloom. The the new lineup will include Weston Sparks of Conestyle on drums and Karl Bergman of Breast Massage on second guitar. Not sure what to think of this new lineup addition? Fancytramp are playing one last show with their current lineup on Friday, Dec. 13th, at The Stone Fox, for a chance at a proper goodbye. Beyond just the Fancytramp news and anticipation to hear the new Idle Bloom, this show will include sets from Brooklyn’s Swearin’ and a local band who we feel are destined to breakout in 2014, Bully. Tickets for this one are only $8, and, per usual, things get started around 9 p.m.
Let’s pour one out for Fancytramp with a listen to some recent demos (which hopefully will also get rebranded by Idle Bloom) and the show poster below. 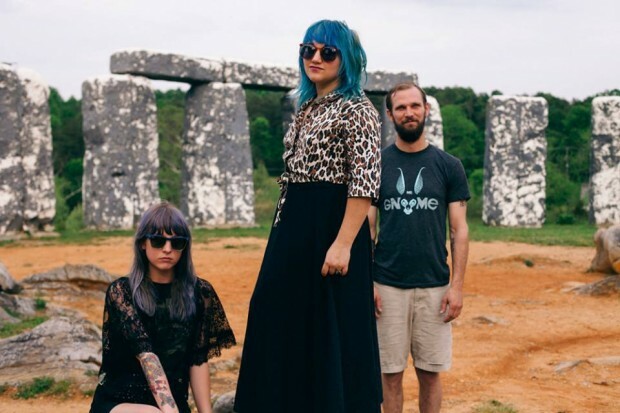 Swearin’, Bully, & Fancytramp will perform at The Stone Fox on Friday, Dec. 13. The show is 18+, starts at 9 p.m., and tickets are available for $8.